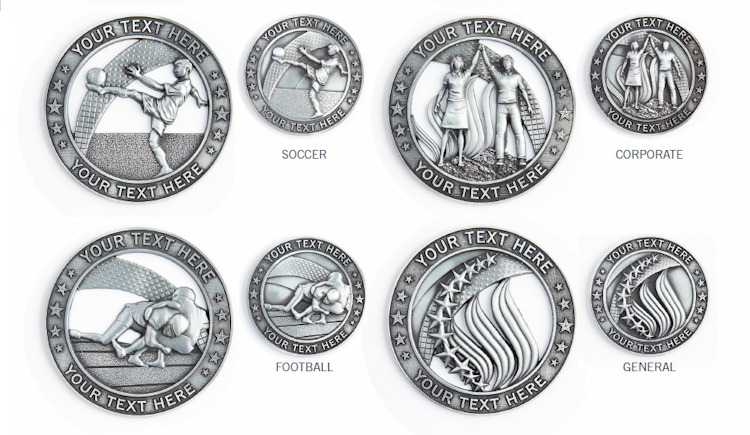 Custom Medal Morphers - The wearable, displayable, transformable trophy! 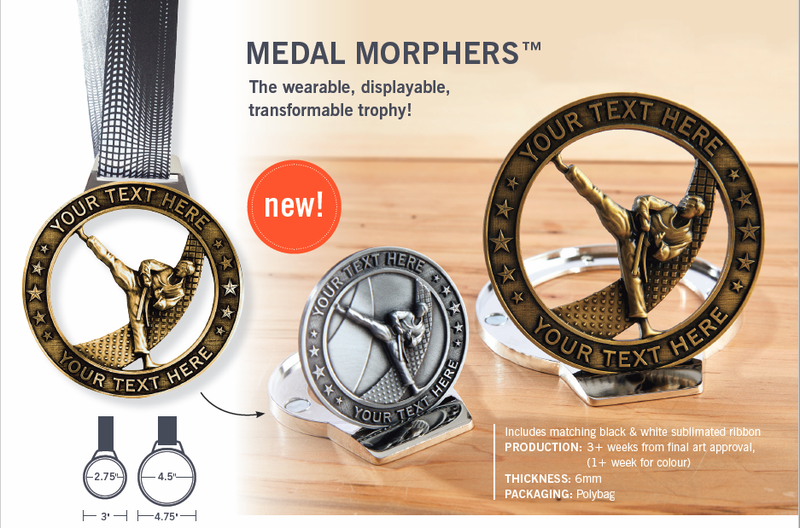 Medal Morphers - The wearable, displayable, transformable trophy! 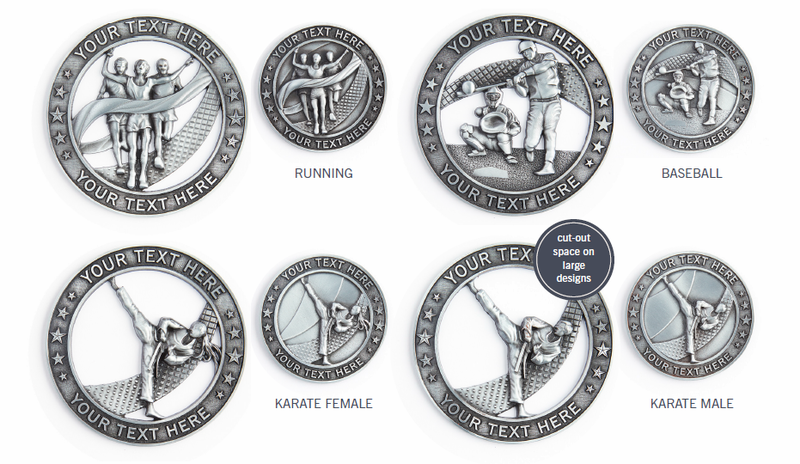 Allows Medal Morphers™ to be displayed in both Medal (as intended to be received) and Trophy (as intended to be displayed). 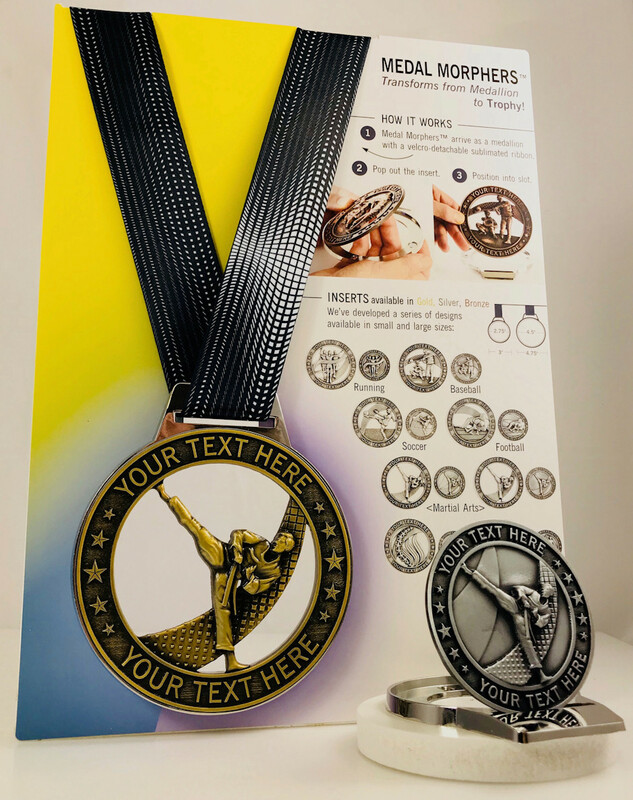 Each Medal Morpher™ retail marketing kit ships and arrives flat. And can be assembled to be surface or wall-mounted. Allows customers to touch and feel the quality and weight of the item, while also assisting the distributor by answering all key questions.